The WHO reports that there are at least 7.7 million new dementia cases across the world every year, and the health prognosis for such patients is poorer than for patients who do not have cognitive impairments. 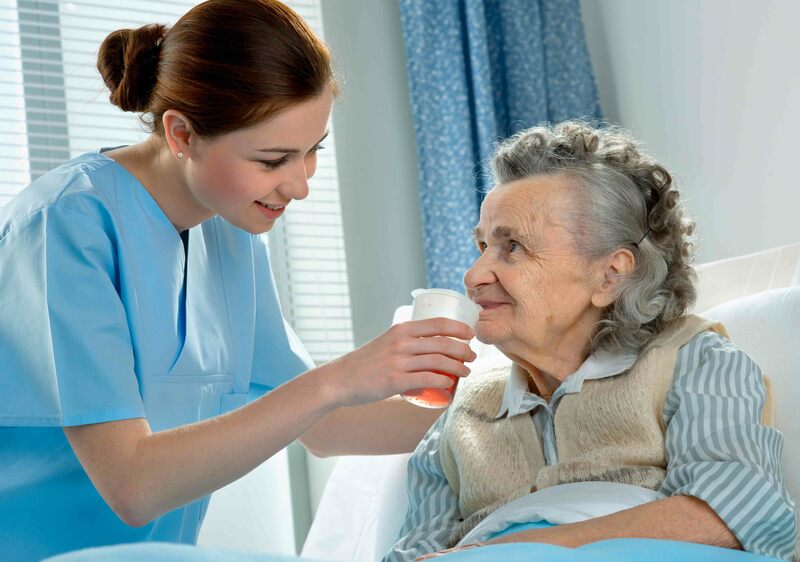 Many people have raised concerns about the adequacy of compassionate nursing care given to such patients in hospitals, strongly emphasizing the need for improvement in this regard. A study carried out in 2014 in the UK explored the perceptions of doctors, nurses and allied health professionals of their abilities and preparedness to care for confused older patients on general hospital wards. This study represented the first step of an analysis of training-needs; in the form of consultation with healthcare professionals who regularly work with confused older patients. At least two out of three patients in general hospitals are aged over 70, and around half of these patients have varying stages of dementia, delirium or both. The study aimed at using a quota sampling strategy across 11 medical, geriatric and orthopaedic wards in a British teaching hospital. Data was collected by conducting interviews with doctors, nurses and allied healthcare professionals, and was analysed in detail using a systematic approach. Most of the participants agreed that their training left them inadequately prepared and lacking in the confidence to care for confused older patients. Many doctors said that they found their initial assessments of confused older patients very difficult. A participant stated that any health professional who was caring for a patient who was aggressive or agitated would find the situation extremely distressing. Most participants felt that their training had left them with insufficient knowledge of the symptoms and treatment of mental health disorders, including delirium and dementia. They were unable to see the triggers of difficult behaviour, perhaps because they did not have the life experience themselves, or lacked awareness of their own body language in handling tricky situations. Some reported dissatisfaction at being unable to get on the same page with the patient, as the patient would not respond or reciprocate sufficiently. Nurses were taught how to handle agitation and aggression. They reported that multidisciplinary team meetings were very important for best patient care, but in reality turned out to be too infrequent. Participants found difficulties in getting specialist inputs .All the participants agreed that communication with confused patients was very challenging, as patients were not able to make their needs known, and staff were not able to convey information to patients. The study participants reported common emotional and behavioural responses that included frustration, stress, empathy, avoidance and low job satisfaction, all of which detracted from optimal patient care and outcomes. This study concluded with the finding that a revision of healthcare education in the UK is required, and that it should include specialist training such as certification courses in individual support and aged care. This would ensure that the workforce is adequately prepared to take care of the elderly who have cognitive problems due to issues such as dementia. Training that is workplace-based and specific to the situations experienced, increased support and empathy from senior colleagues, and improved access to geriatric medicine and specialist mental health services were identified as top priorities for action.